Superior Online Casino launched in 2007, and has shown quite a few of the older horses of the industry how it has to be done. No-deposit bonuses, massive welcome bonuses and various (and regular) other bonus, they definitely are the superior online casino! Various other daily and monthly bonuses! Superior Online Casino offer a wide variety of classic 5 and 3 reel slots, as well as 3 and 5 reel video slots, interactive slots like the popular Cosmic Quest. There are also numerous progressive jackpot games, table games galore (roulette, blackjack, craps, etc. 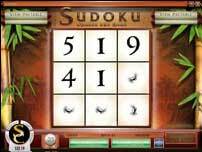 ), as well as speciality games that include games such as Keno, Tiki Treasure and would you believe it, Sudoku! 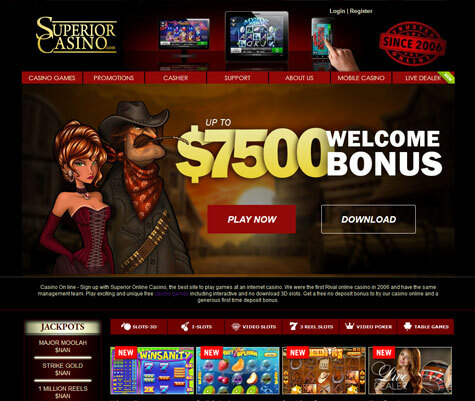 Superior Casino's loby is very well laid out, so selecting a game to play from the massive selection is easy. From the games, a player can see that much thought had gone into them make them as entertaining as possible. Visit Superior's website, download the casino software and install, or play directly on the site with their Instant Play functionality. Over and above the great bonuses, Superior Casino also offer great incentives and competions to keep players interested and entertained.